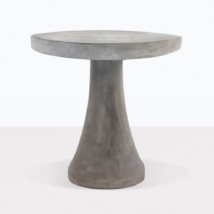 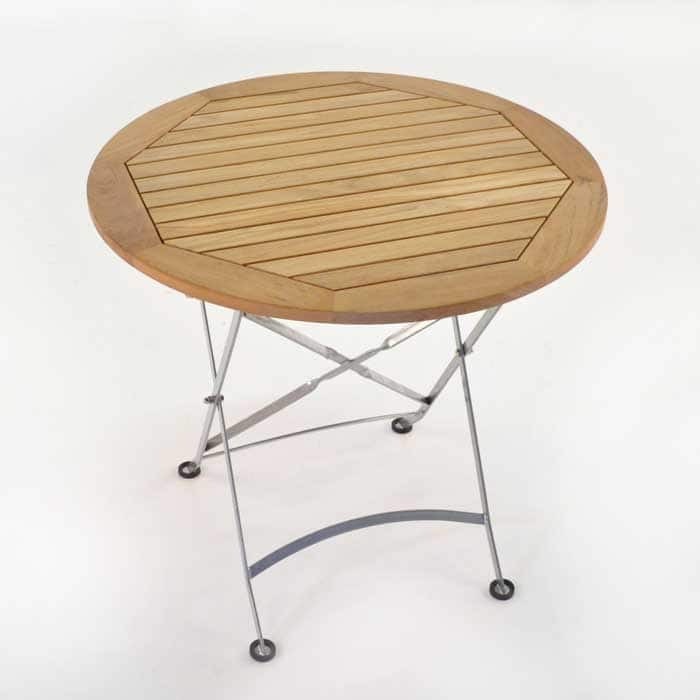 The Cafe round teak folding table will be appreciated by your friends and family during an impromptu game of cards or a quick lunch outdoors on a beautiful day. 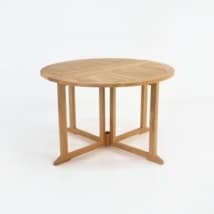 It’s size makes it manageable and yet, it has a presence about it that is reminiscent of old Europe and the bustling streets full of people trying to find a moment of solace in a cup of cappuccino. 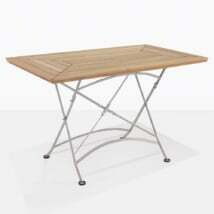 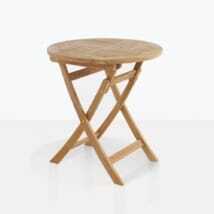 W32" x L32" x H29"
The table folds, so it can save space when you need your terrace or patio. You might think twice though, as the style almost begs to be on full display with its warm teak surface and the strong, smooth steel frame. 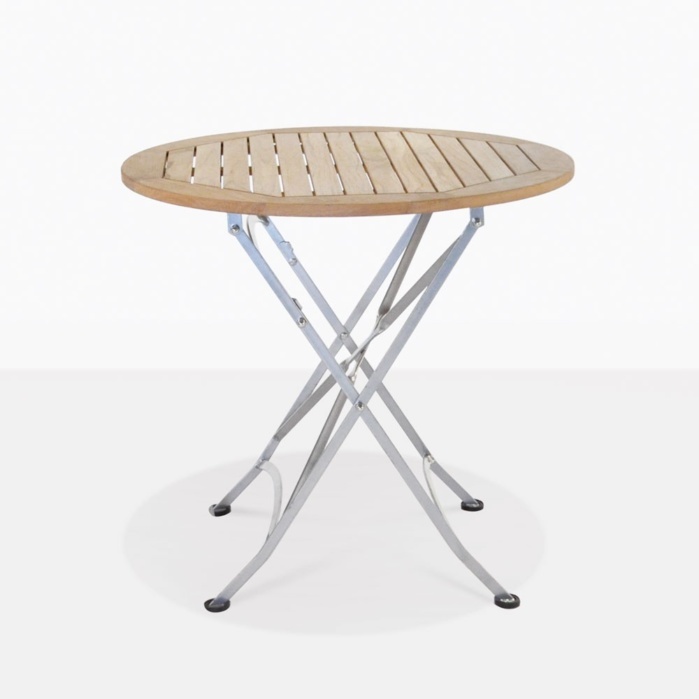 Pair it with our Cafe folding side chair for the perfect intimate setting.